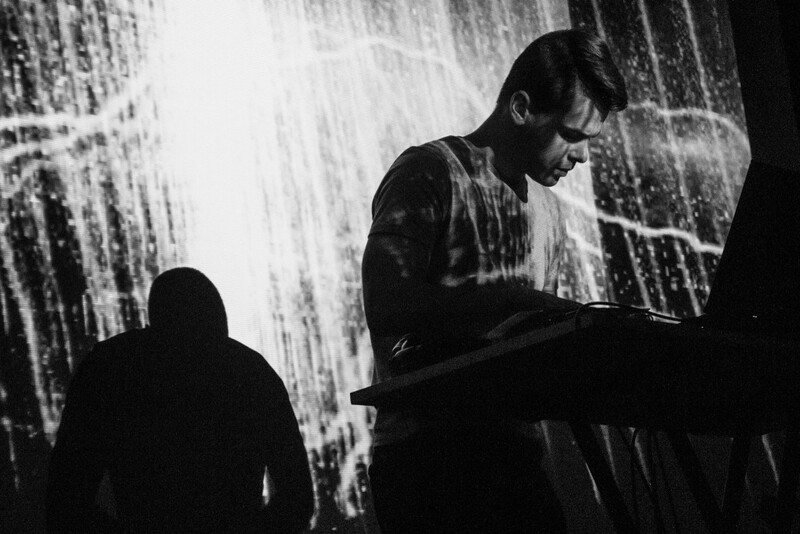 Lišaj is a Czech musician whose sound is based on droning mixtures of field recordings infected with slow beats, lo-fi sampling, and liquid genre motion. His open passion for different kinds of music on a misty axis between ambient and concrete music aesthetics falls into a slow abstract stream of diverse sound masses. Lišaj’s first release, called Szara, was built as a construction of field recordings gathered on the Hel peninsula, with an attempt to “dig a tunnel between noise and voice”. It was released via the Prague-based Genot Centre label. Could you talk about your background: Where do you come from and how did you get into music? I come from a small town in the east of the Czech Republic. As a child, I have gone through a rather bizarre musical evolution including years spent in a brass band, and then I threw it all away and started making music that I liked. Around 15, I got into doom metal, which influenced my musical perception a lot. Subsequently I played in a post-rock band and after it disbanded, I started working with music software and searched for my own musical path. In parallel, I started to listen to a lot of electronic music, and discovered field recording. This led to a certain sound, which I’m trying to develop and perceive as my own contribution to whatever has inspired me so far. Lišaj means something like a sphinx, a special type of insect in Czech language. Why did you choose this moniker? It’s just a random Czech word that I like. At the same time, it certainly has some connotations, which coalesced with my nocturnal work and reverse biorhythm at a time when I started to make music under this moniker. I’m still a creature of the night. I like to think, create, and live at an hour when my colleagues sleep, but in retrospect, it certainly wasn’t this romantic. The word remained, but there are certain things I wouldn’t like to return to. Your music is immersive, almost hypnagogic. It creates atmospheres rather than disrupts. Could you talk about your music-making process and certain atmospheres and vibes that you look for? In a way, I only have one simple aim – to produce a sonic experience that I miss in the plethora of what I listen to. I’m certainly trying to enable listeners to immerse themselves in a mass of sound. I prefer a relatively high acoustic intensity to achieve that, which the people who invite me to play don’t always understand. I like physical vibration and I’m irritated by ambient production, where you can hear the audience talking from the other side of the room. I see it exactly like this as a listener as well; I want to be immersed in sound, not the people around me, and in this sense, the possibility of a sonic attack fits quite well. My music-making process is quite simple. I mostly build my music from field recordings, which I record on my phone or recorder. The recorded sounds are my starting material, which I then process on my computer. I sometimes add various samples, which are not from the environment. Latently, I feel the need to hear the “final” version’s resonance with how at felt at the places where the original recordings were made. If it’s not the case, I usually follow a different direction. Can you talk about the relationship between sound/noise and voice in your work? This is closely related to the previous question. Since I generate a large chunk of my sound from material that is considered as non-musical, it makes sense to talk about sound only, without trying to create some sort of questionable separation between musicality and noise according to some acoustic theory. Voice is then just another item that I add to this vibrant mix. It’s not about voice and lyrics. It can help some listeners to get closer to an abstract type of music due to its “human factor”, but I work with it in an intuitive way, perhaps because it’s hard for me to listen to myself sometimes. Your debut release, Szara, was recorded on the Hel peninsula in northern Poland. Can you talk about this experience? My two-week stay in Hel has so far been my most interesting European trip. The place is fascinating; the transitions from soft, forested areas full of concrete scaffolds to windy beaches are unforgettable. I didn’t expect Poland to have such an impact on me, but I really fell in love with the north. Everything that came after was just a quick post-production of field recordings, which I recorded rather for my own memory than with an aim to make music out of it. When I played it at home, it just came together naturally. In a way, the music becomes almost like a postcard from a place I would gladly return to. Your release appeared on the Prague-based label, Genot Centre. How would you describe the Prague electronic/experimental scene at the moment? I’m not sure that I am able to judge the Prague experimental scene, where I belong in a more ad hoc rather than permanent way, from Silesia. What I can say is that I feel good at certain events in Prague, and I often leave the city to go back to Ostrava with strange sadness. This whole Prague community, at least for me, is much more positive and open than the people I get to meet at gigs in Ostrava. Lots of interesting people concentrate in Prague, even outside of the music scene. These people would perhaps feel lost in other parts of the country. Prague enables them to not feel like outsiders and to collaborate on interesting projects.